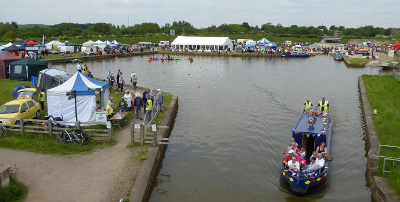 THE Chesterfield Canal Festival will be held at Staveley Town Basin this Saturday and Sunday. This gives a chance for people to actually cruise the landlocked waterway in the Chesterfield Canal Trust's trip boats in addition to a packed calendar of events being held over the weekend from 10am to 5pm daily. Attractions will include all four of the Trust’s tripboats; two of which have wheelchair lifts. The trips will go through Staveley Town Lock and round the bend into the newly built Hartington Harbour. Pleasley Vale Canoe & Activity Club will be running Canoeing and Zorbing and there will be a Canoe Polo demonstration match and the Newfoundland Training and Demonstration Team will be demonstrating water rescues by dogs. There will be a flypast by a Lancaster on Saturday at 11.35am and a Dakota on Sunday at 215pm. 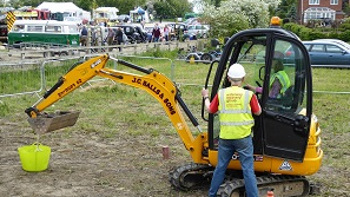 Further attractions will include Birds of Prey, Archery, lots of children’s rides including having a go on a mini digger, a bouncy castle, a climbing tower, radio-controlled boats and vintage vehicles. You can even handle a skunk with Encounter Exotics! The entertainment will include Feet First, Mini Mansell Street Theatre, Chesterfield Garland Dancers, Ken, Pete & Geoff, Peter Piper, Woodhouse Prize Band, Urban Gypsies, New Orleans Strollers, Fosbrooks, Thunderroadz and Scuppered. There will be scores of stalls of every type from home-made cakes to old tools to canal art to the National Trust. French Connection, North West Catering, Coffee Modo, Oooh La Laa and Frederick’s Ice Cream plus a Real Ale Bar run by Brampton Brewery. Admission £5, free for Under 12s with free parking—S43 3XF.